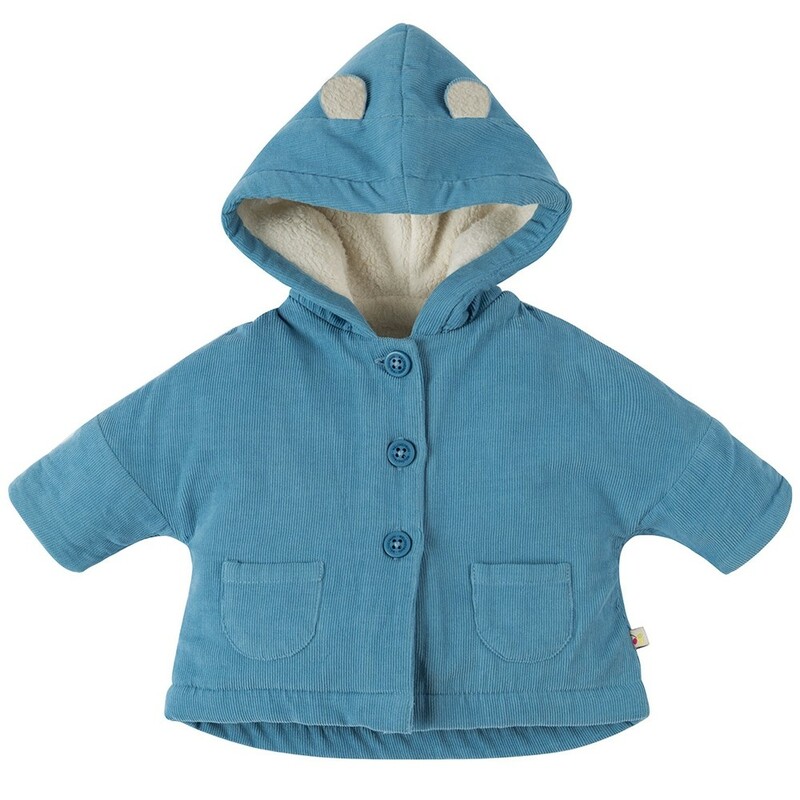 This My First Frugi corduroy coat is soft and cosy, with blue needlecord on the outside and snuggle fleece inside - roll up the sleeves for a cute contrast. 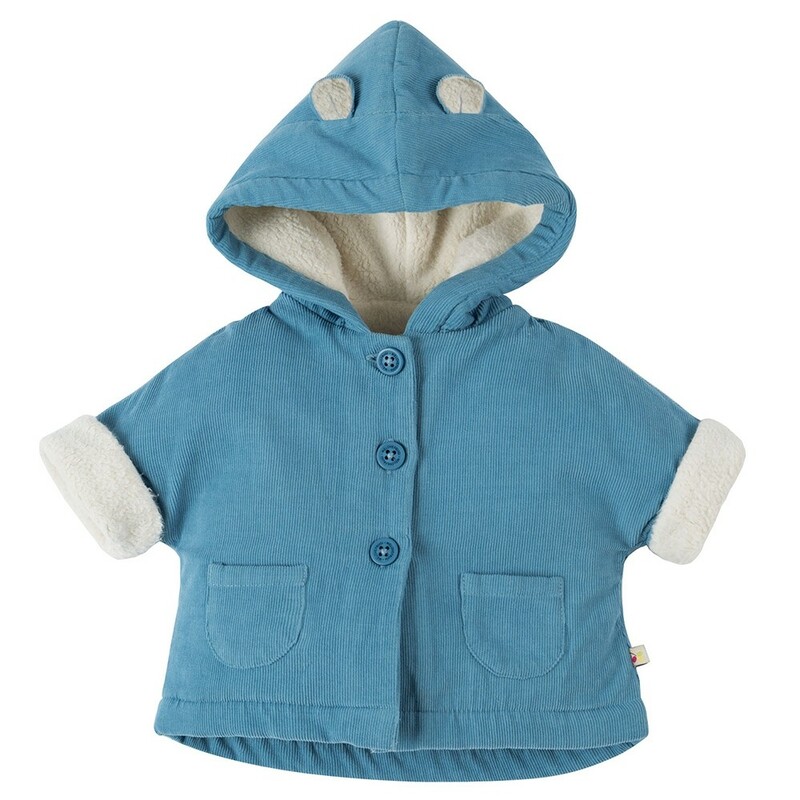 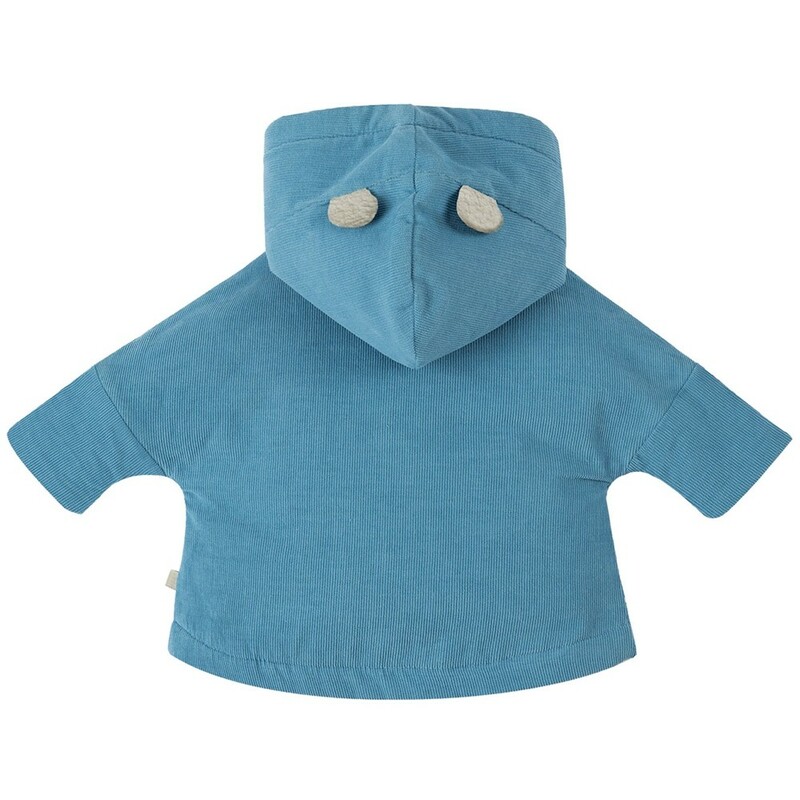 This organic cotton baby jacket has two little pockets on the front and cute ears on the hood - pull it up when your bear cub gets cold. This My First Frugi jacket is ethically made from 100% organic cotton which is gentle on delicate baby skin. 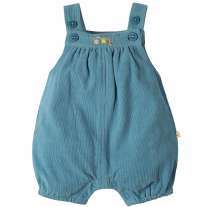 Team up with matching dungarees for a fabulous Frugi outfit for a new baby.